When you take your car to a major glass company, you get cookie cutter service and a commitment to shareholders. When you take your car to Titan, you get personalized service and a commitment to excellence. At Titan Auto Glass, cutting corners just isn’t in our vocabulary. We know what’s important to you: great service, quality products, and a job done right the first time – and we strive to deliver all three every installation we perform. Installers from larger companies may try to ‘stuff’ your windshield to perform the job quicker and move on to their next job. We take the time to make sure your installation is done right and all the necessary components are properly handled. Our commitment to quality doesn’t stop at our process. 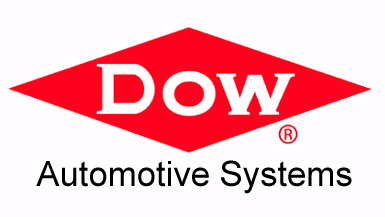 Titan proudly uses Dow Automotive adhesives and holds full Dow certification. These specific adhesives are capable of curing in zero degree weather, with only an hour drive-away time. An incredible added value for the cost! "Great experience with Titan Auto Glass!! Excellent customer service, very professional and quality work! When you need auto glass call Titan!" "Had Shaun replace the windshield in my car last week. I was blown away with his knowledge and attention to detail. Thanks again!"